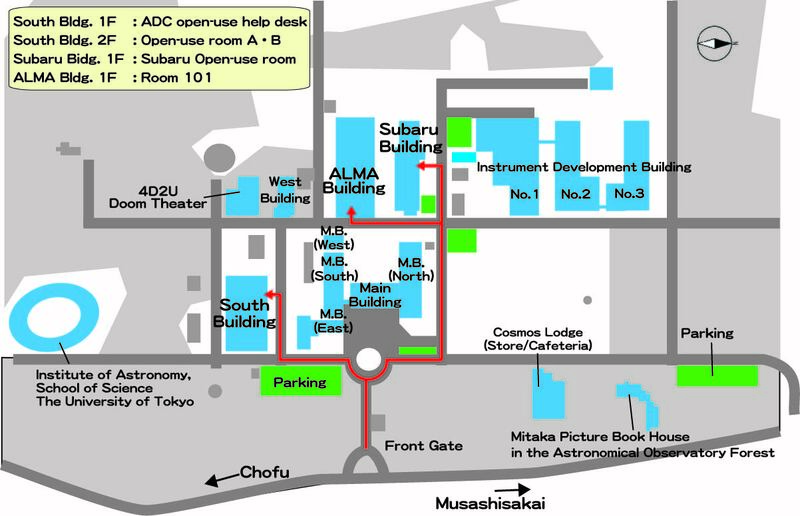 Open-use rooms located in South building and Subaru building are provided in order to support users and their researches. Users can analyze astronomy data using workstations and can make posters using large format printers. Every afternoon from Monday to Friday, an operator is in each open-use room and support users*. Note that the ADC also manages the machines and printers in the room 101 ALMA building but the room is owned by NAOJ Chile observatory. You need to get permission from NAOJ Chile observatory if you enter the room. Please ask NAOJ Chile observatory if you have any question about the room 101. *) There may be cases where the operator is not in the open-use rooms because of other jobs.